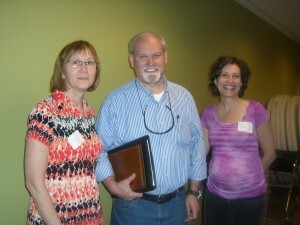 Last week Jerry Jenkins, the best-selling author, paid a visit to my writing-critique group. Jenkins, who’s penned more than 175 books, including the Left Behind series, discussed his life and career, and offered insight into what it means to do full-time Christian work–as a writer. His remarks were both encouraging and inspiring, and he offered something for writers of all levels, particularly for those looking to write from the point of faith. Several sentiments Jenkins shared resonated with me, as both a writer and a mother. I was encouraged by the notion that a good book idea can ripen with age, and ultimately see the light of publishing. For the last few months, I’ve been crafting a book proposal–one that certainly feels like my life’s work–but enormity of the task and my desire to do it well are sometimes overwhelming. Though I manage to spend some time each month with the proposal, it’s not as much as I’d like, and I wonder whether my attempts will be in vain. Hearing from Jenkins last week and in the pages of Riven are reassurances–and reminders that if God wants something to succeed, it will get done. He gets it done on his time, not mine–not even according to the deadline world where I’m so comfortable. Jenkins also talked about the importance of spending time with your kids, and not putting your work ahead of them. During his time as editor of Moody Magazine, vice president for publishing, Jenkins said he made time to write on the side, after his three sons had gone to bed, from about 9 p.m.-midnight. The time with his family was sacrosanct, he said, noting that kids hear what you say and believe what you do, and he urged all of us to keep our families a priority. Hearing this from someone as accomplished as Jenkins was an affirmation for me, given my latest post on the career-and-identity struggles mothers experience. It is possible, after all, to write a book while keeping your family at the center of your world. As far as tailoring his craft, Jenkins said he operates from the viewpoint that you never arrive as a writer, and that you should always be learning and striving to participate in activities that sharpen your skills. One such activity is reading–great writers are great readers, he said, pointing to “All Over but the Shoutin,” by Rick Bragg, and “The Autobiography of Mark Twain” as two of his recent favorites. Jenkins writes as process of discovery rather than outlining far in advance, and he believes that good writers show instead of tell. For example, rather than saying a character is cold, explain that he pulled his collar up. He suggests that as Christian writers, we should maintain our spiritual disciplines, give our families first place in our lives, and give counsel to what we’ve been called to do–which, of course, is writing. From the poignant to the practical, in what he has written, said, and done, Jenkins offers plenty for any writer to take away. 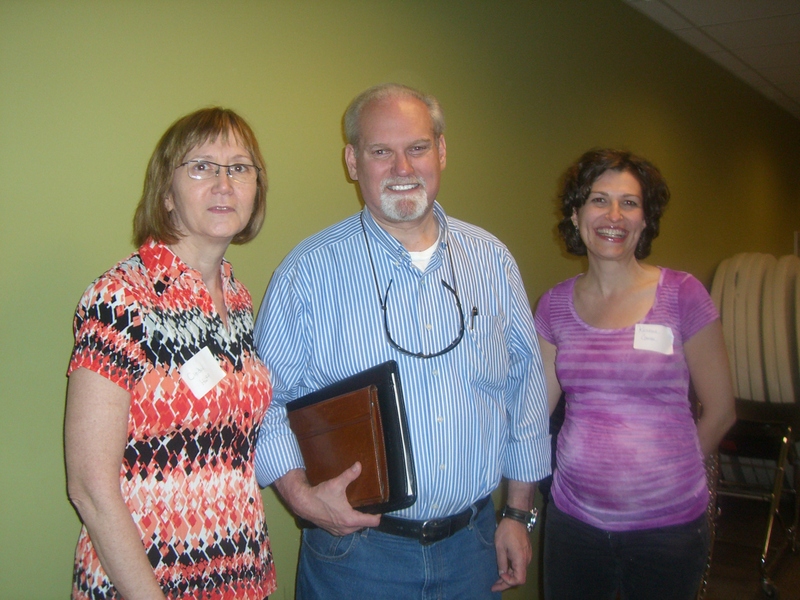 My colleague Cindy Huff, president of Word Weavers Aurora, Jerry Jenkins, and me; May 19, 2011, in Naperville, Ill.
Great Kristina! You have written a wonderful summary. Now, even the people who weren’t there can get a taste of the experience. Wow! What great tips! I think we can apply them to many other careers, too. Thanks for sharing!